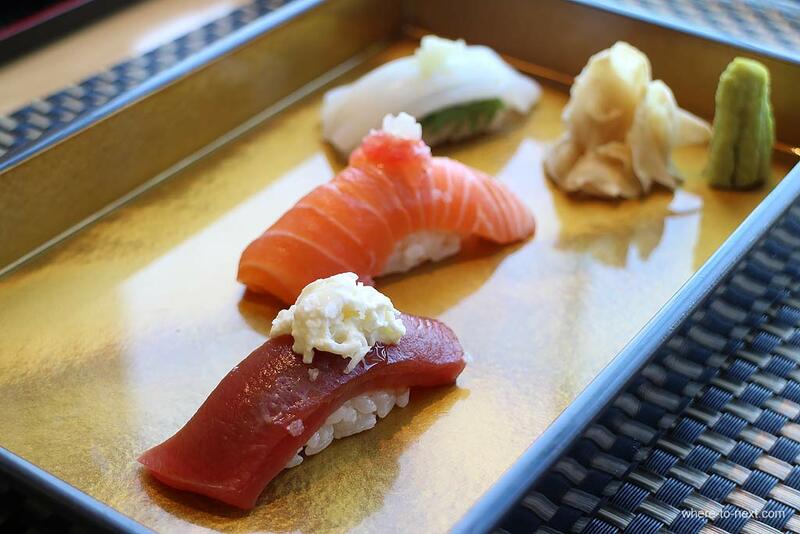 Best restaurants in Hong Kong: Sushi Towhere to next? One of the latest of Harlan Goldstein’s creations, on the upper levels of Soundwill Plaza (one floor down from Penthouse). So as you can imagine the view’s not too shabby. 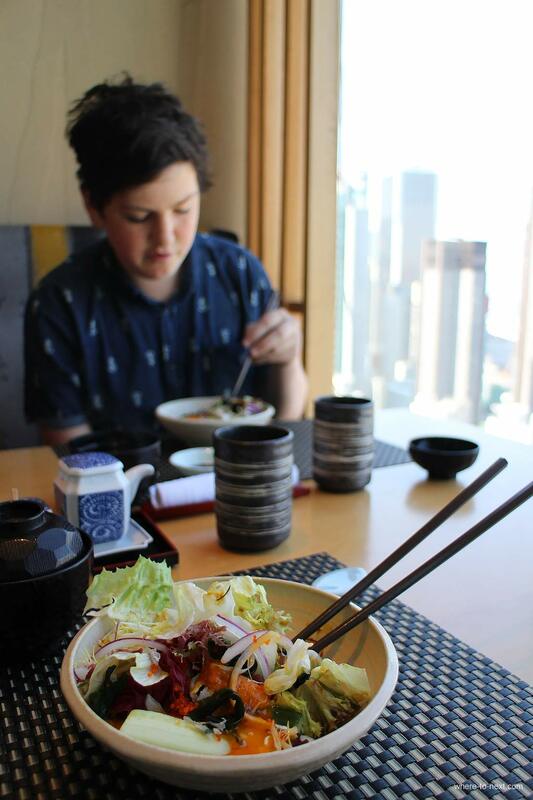 This is very fine Japanese cuisine. Under the leadership of Osaka-born chef Maeda Norihisa, the culinary team at Sushi To; “redefines Japanese dining experience combining tradition with contemporary creativity that embrace seasonal items and showcase specialty dishes using only the finest ingredients”. That it does. 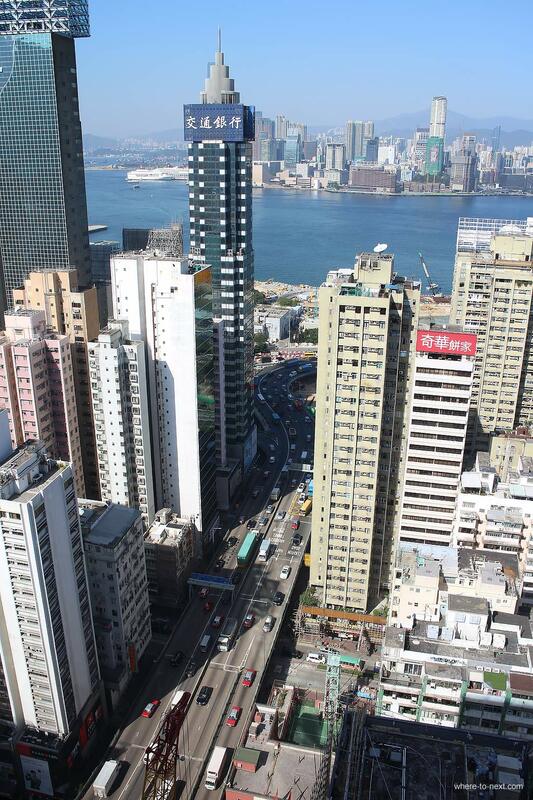 Which is why I’m declaring one of the best restaurants in Hong Kong (according to me). 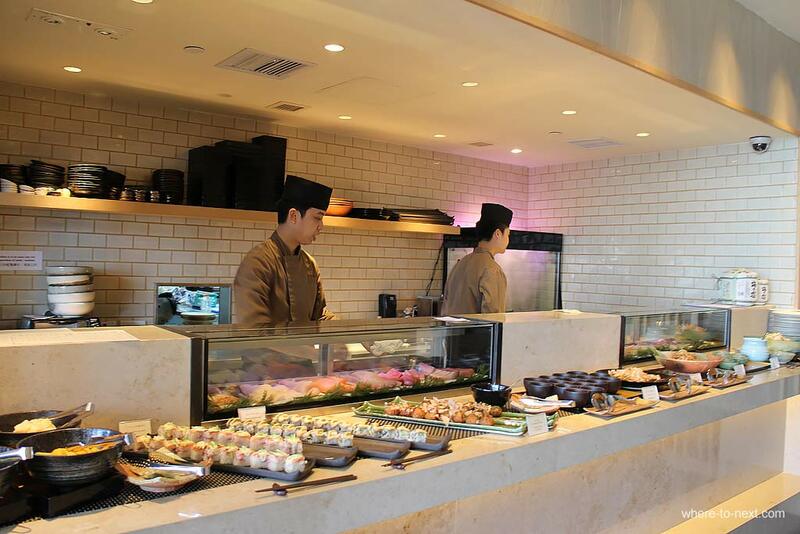 You can choose from an a la carte menu, and then choose your starter from the rather magnificent buffet, laden with sushi, sashimi, gyoza, miso soup, takoyaki and other delights. 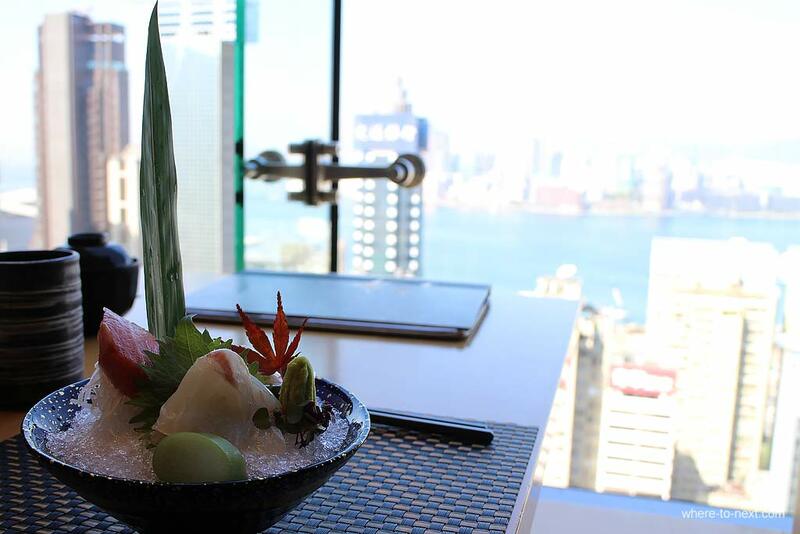 With this spectacular Harbour view, our culinary journey starts with an onsen salad. 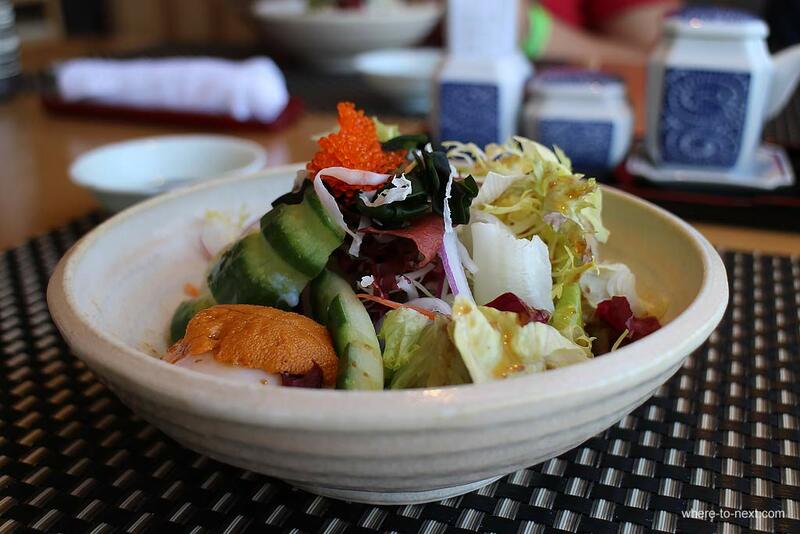 This is a crispy salad with sesame dressing, topped with an onsen egg (slowly poached egg) and sea urchin. I know a little bit about onsen eggs, having tried one in an onsen village in Yudanaka that dates back to 1000AD. They are cooked by the slow trickle of onsen water flowing over them at roughly 70 degrees celsius. It’s such an even cooking process that the yolks are the same consistency as the whites. I’m not sure how they’ve managed to recreate that process on the 29th floor of Soundwell Plaza, but it’s cooked to perfection. We move onto a beautiful bowl of sashimi, a selection of fresh fish from the local market followed by a light broth with sato-imo (potato cake), mocha rice cake with crab meat and lotus flower. 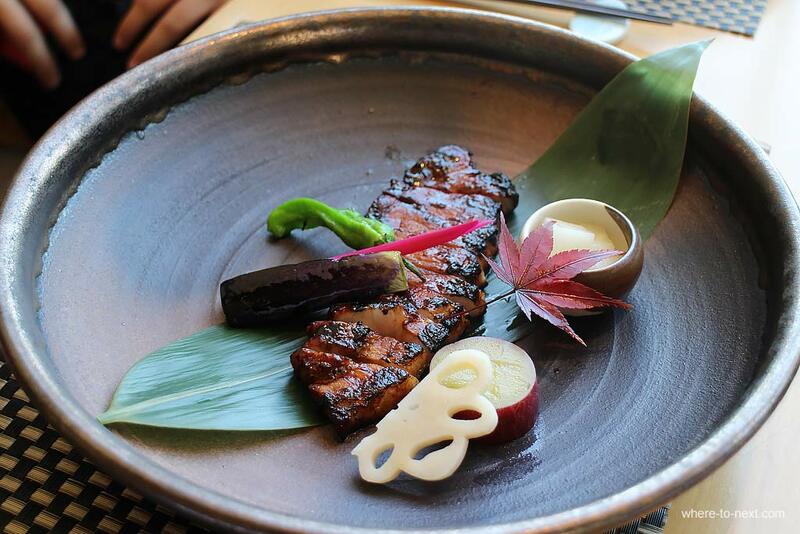 Our main is a choice of grilled buri yellowtail or Kagoshima black pork loin “miso-dare” teriyaki. The teriyaki pork is melt-in-your-mouth tender and again – the presentation is a work of art. 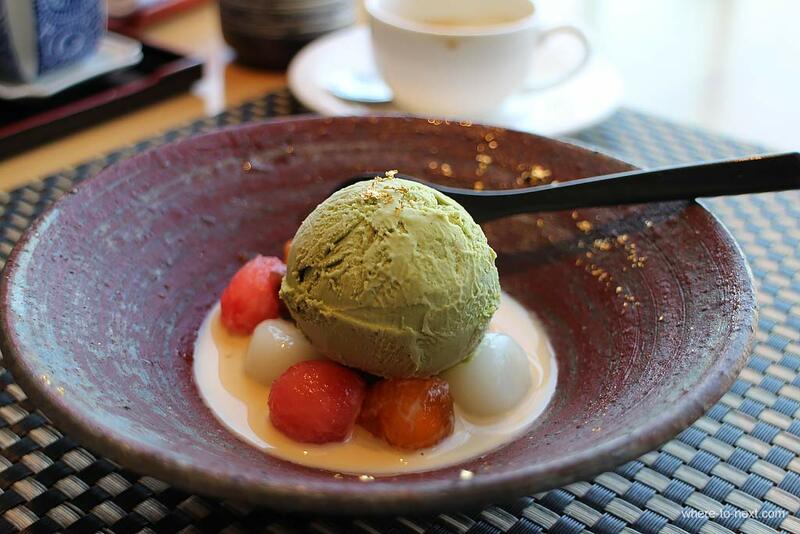 Sushi – tuna, squid and salmon sushi – follow, again, beautifully presented and ever-so tender before our dessert is finally served: Green tea ice-cream with fresh fruit. This was a large meal and best enjoyed over several hours on a leisurely afternoon or evening. We wiled away a very pleasant afternoon here before waddling back to our hotel with big smiles on our faces. Again – the place is very stylish and elegant, but not over the top stuffy. Today at lunch, most diners were smartly dressed execs, but I dined with two of my teenage kids, and they didn’t seem out of place. 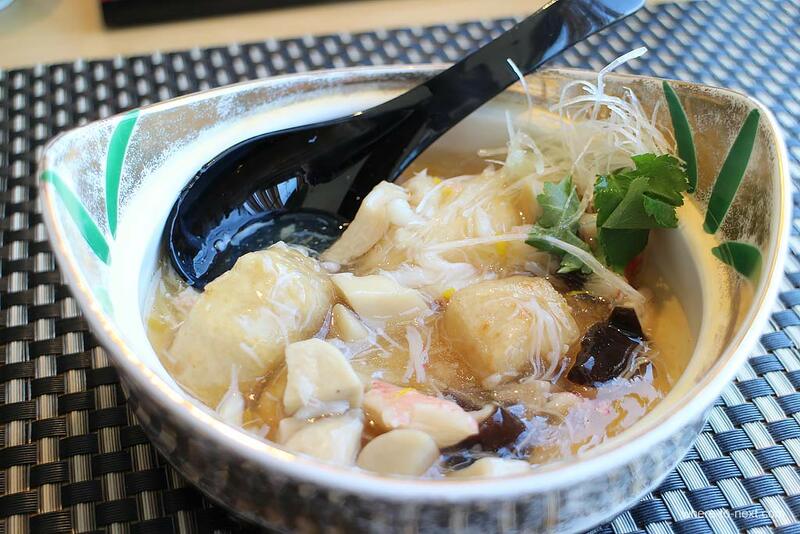 Click here for more information and full menu.